A Dementia Friends Champion is a volunteer who encourages others to make a positive difference to people living with dementia. They do this by giving them information about the personal impact of dementia and what they can do to help. After attending a training session, Champions will be equipped with everything they need to run 45 minutes to one hour Information Sessions for their friends, family and colleagues. They’ll be able to help others learn more about dementia through different activities and discussions before inspiring their group to act in a more dementia friendly way in the future. Dementia Friends Champion role is part of a social action movement so volunteers will have the freedom to choose where they carry out this role, for example, at their home, place of work or local community club or centre. There’ll be ongoing support from a member of Dementia Friends Gibraltar to help you every step of the way, but plenty of freedom and flexibility to perform the role in a way that fits in with your own schedule. 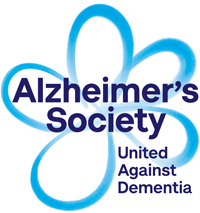 To take on this role volunteers will need to sign up through the website or contact Dementia Friends Gibraltar on Tel: 00350 56001422.